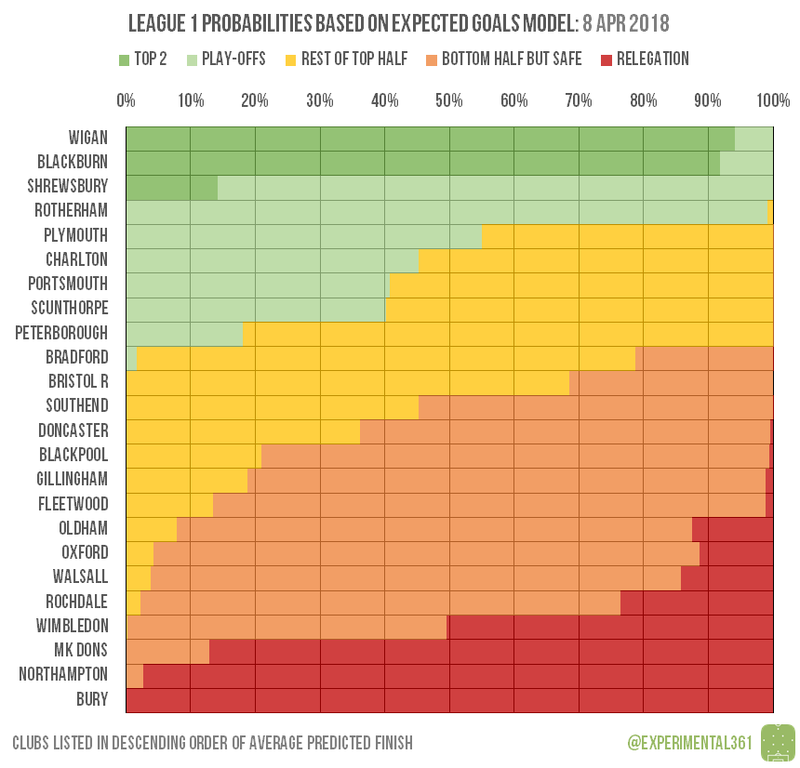 Wigan look determined to end the season on a high after another strong showing, while the exact opposite can be said for free-falling Bradford, who plumbed fresh depths after a horrific defeat to Blackpool. 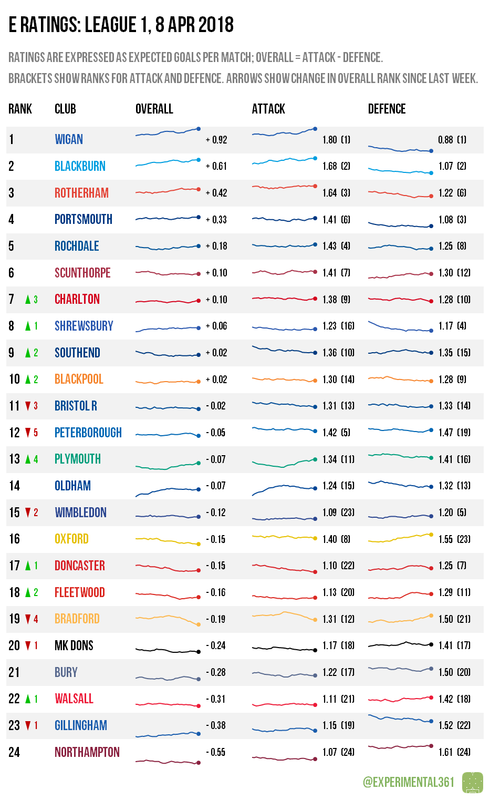 Meanwhile Plymouth‘s win over Peterborough was comprehensive enough to see their respective ratings converge. Wigan and Blackburn both won to keep automatic promotion looking likely. The lower two play-off places are still up for grabs, although with Bradford‘s hopes extinguished and Peterborough stumbling the field appears to be narrowing. At the bottom, MK Dons took a step closer to relegation while the late equaliser conceded by Wimbledon means that they’re now in a spot of bother after most of the teams around them picked up points.